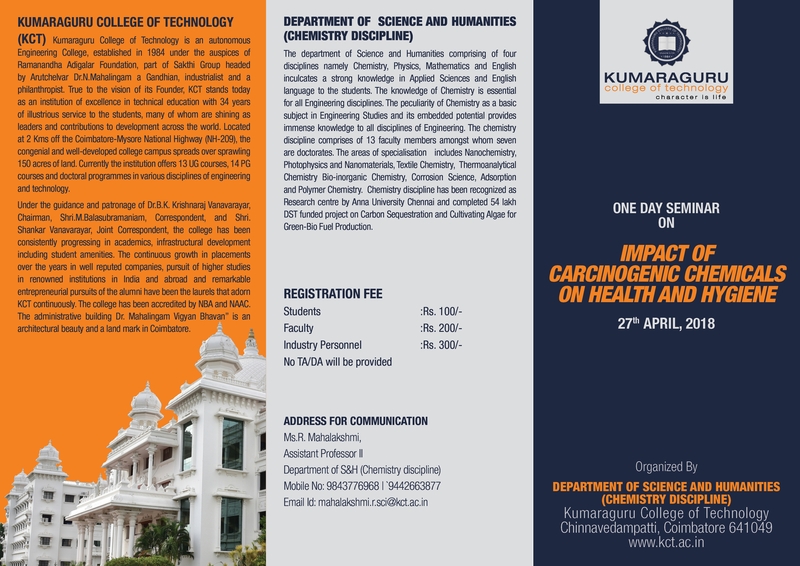 The Department of Chemistry is organizing a One day Seminar on Impact of Carcinogenic Chemicals on Health and Hygiene. This Seminar aims to elevate awareness on cancer causing chemicals and finding plausible solutions to combat with the carcinogens in our environment. 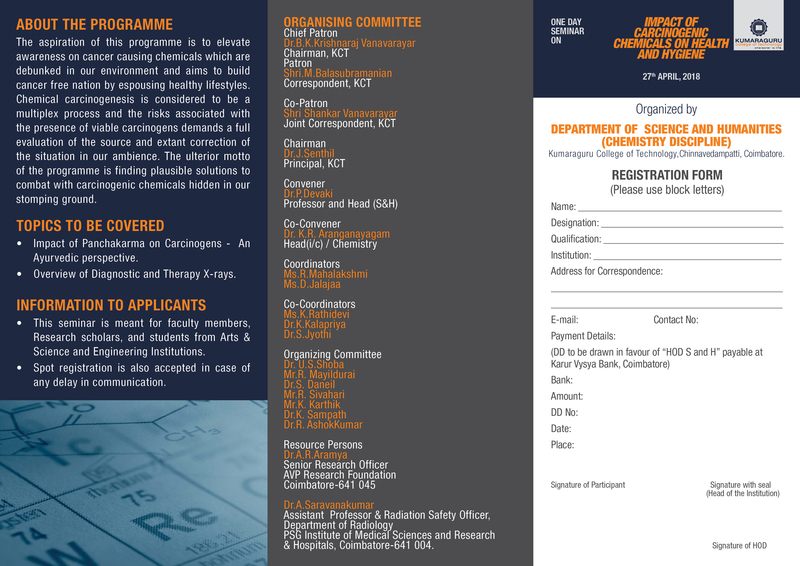 Brochure of the seminar is attached herewith.